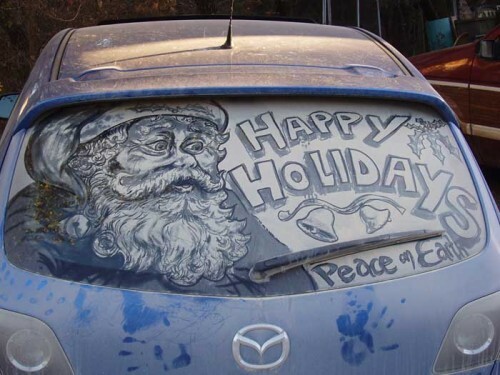 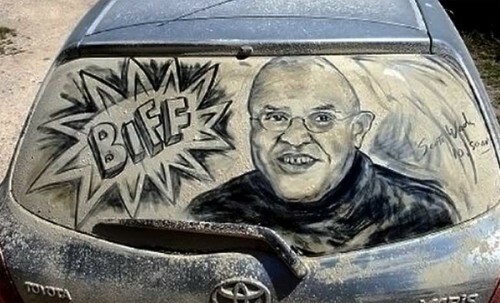 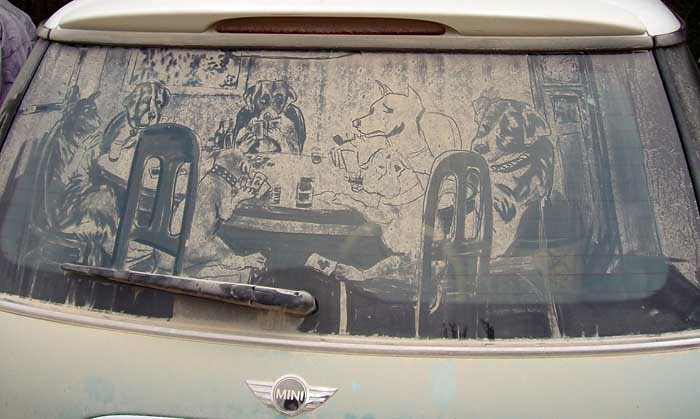 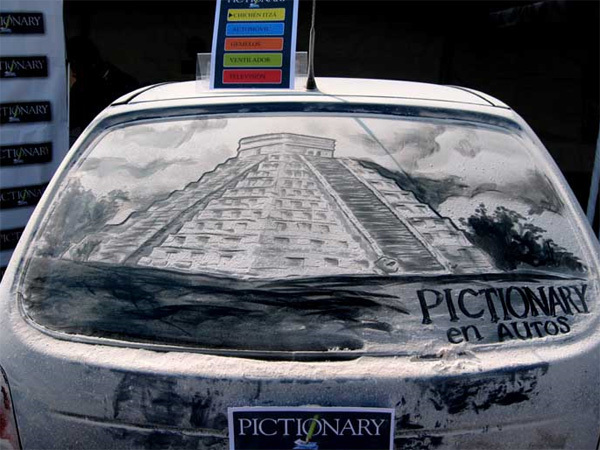 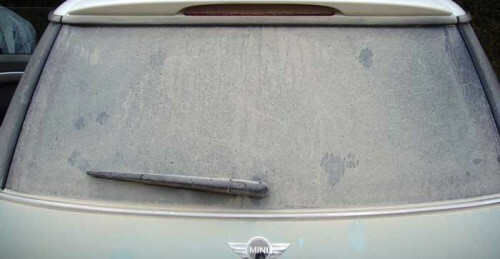 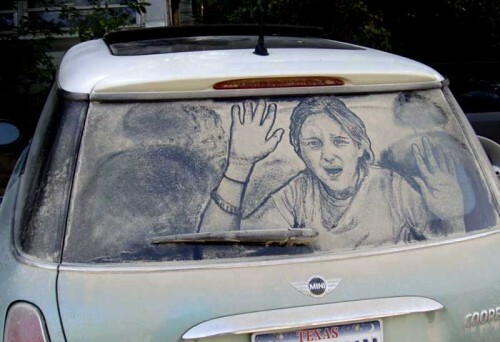 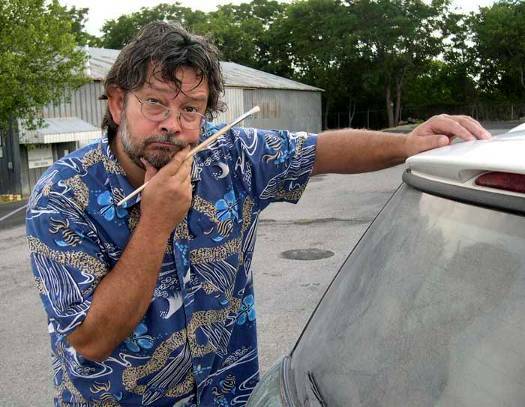 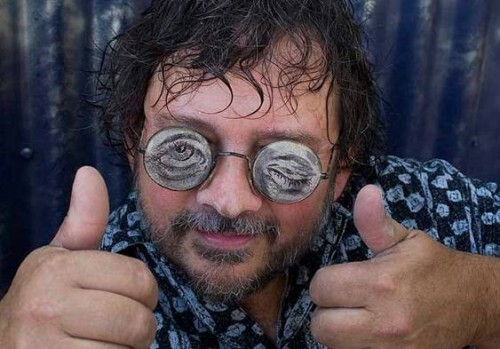 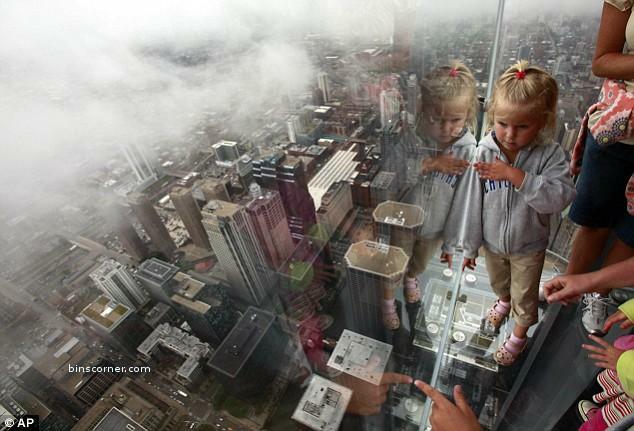 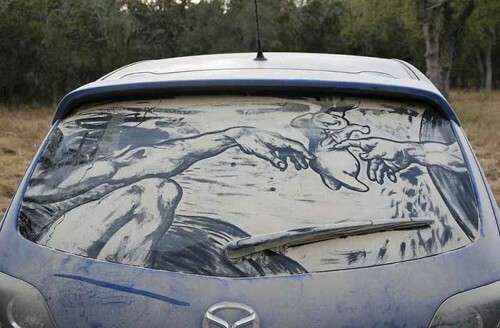 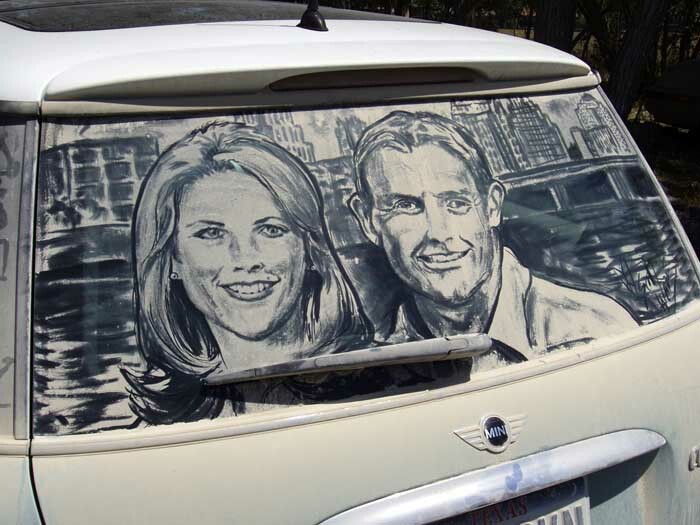 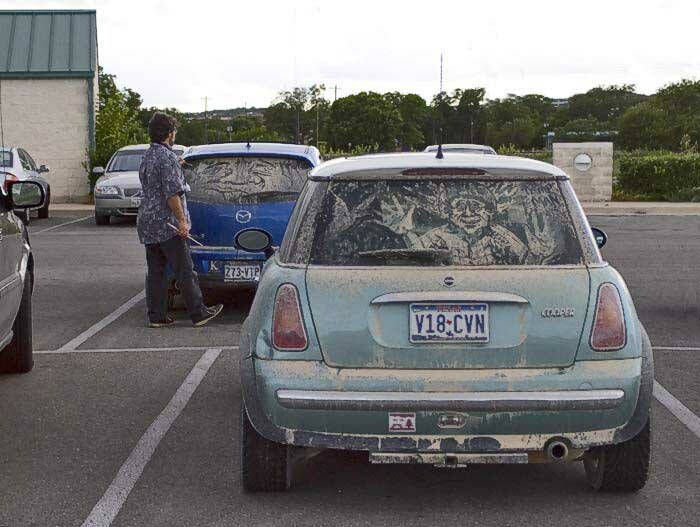 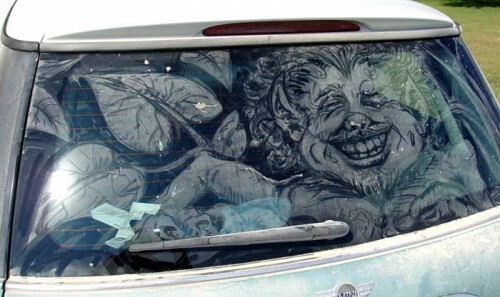 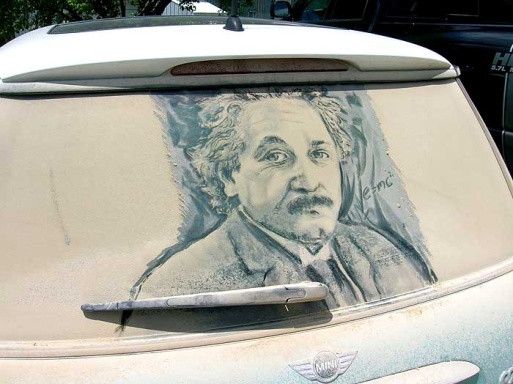 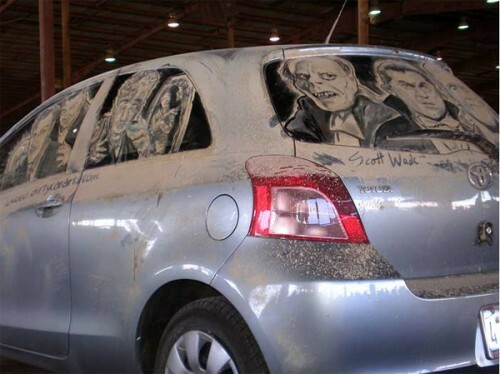 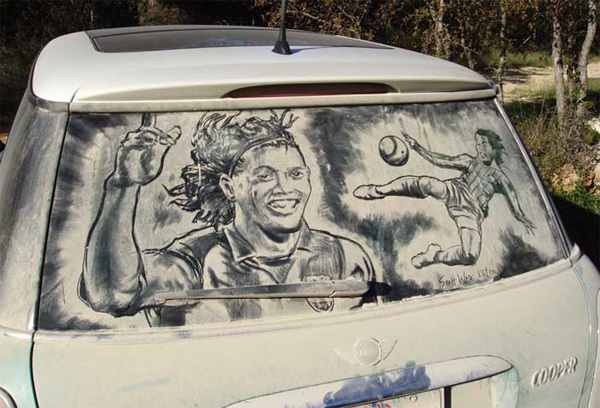 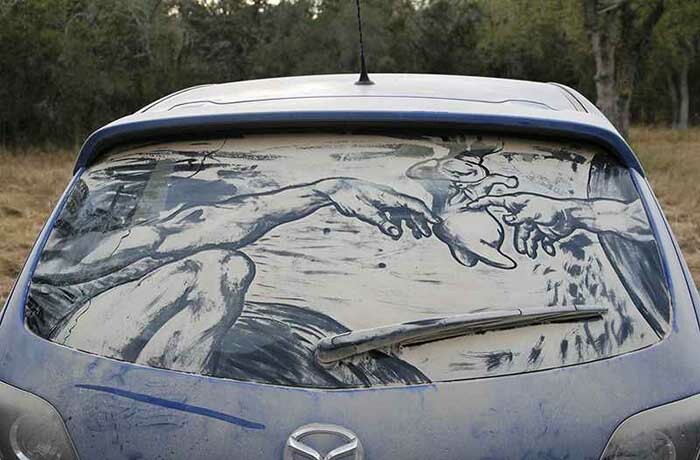 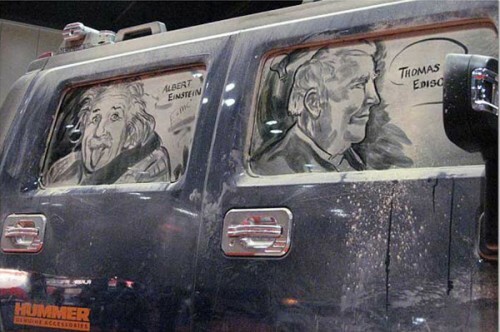 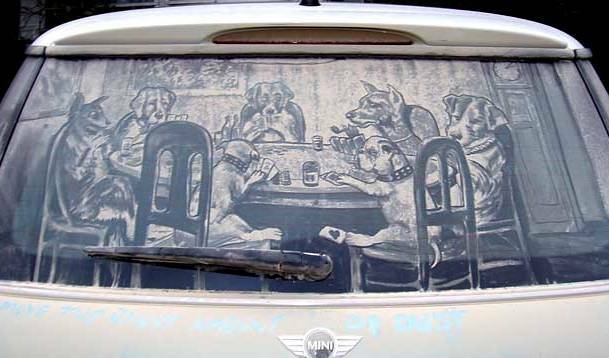 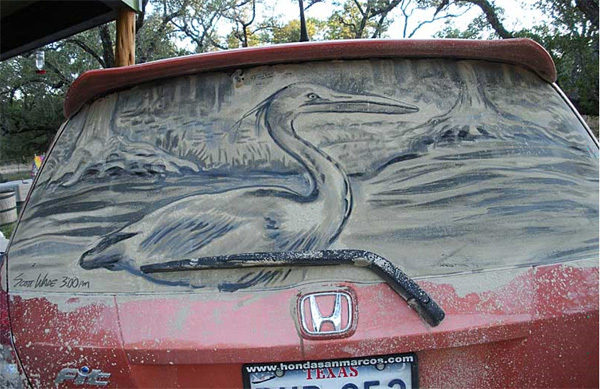 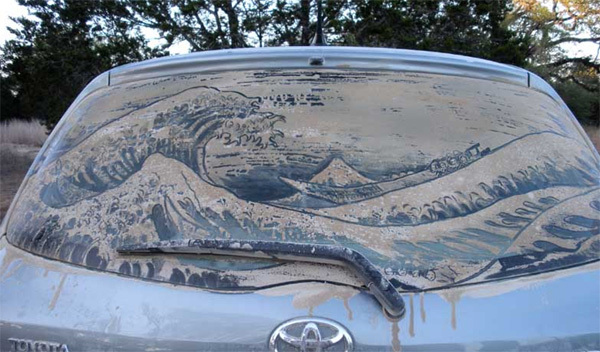 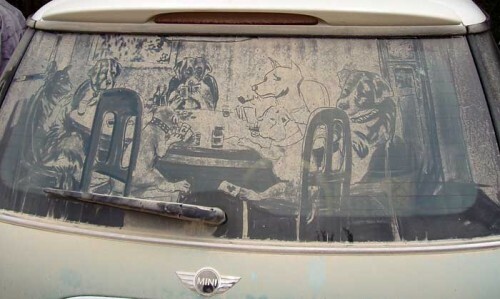 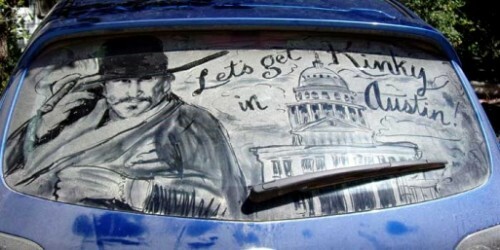 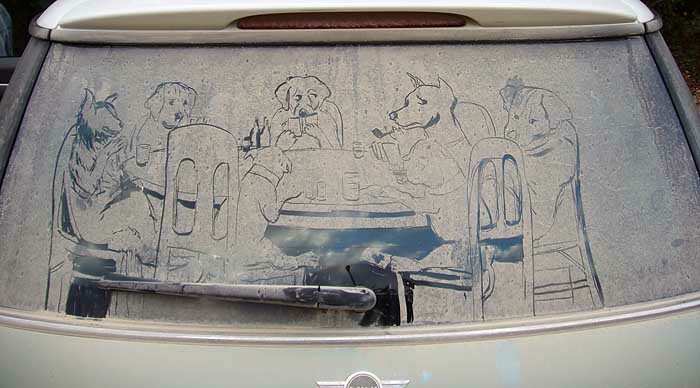 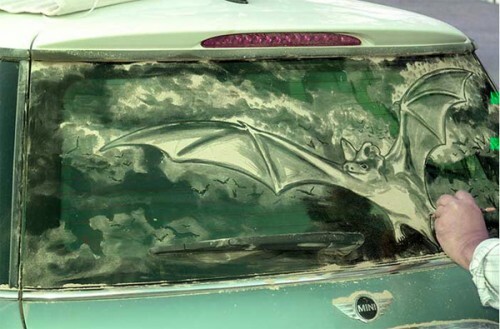 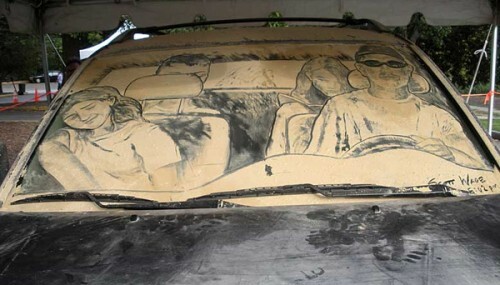 Scott Wade – a talented artist, who like every creative and curious person can’t resist a dirty rear car window. 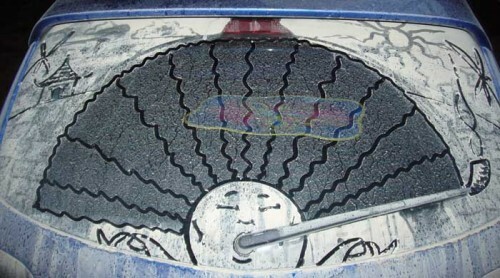 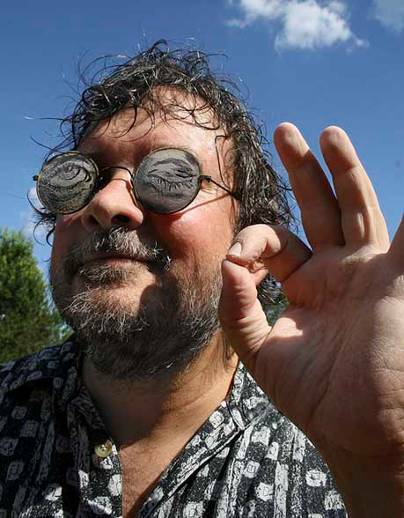 Wade started to produce simple hearts or phrases such as “Wash me, you dirty fellow” on the windshields and windows of cars. 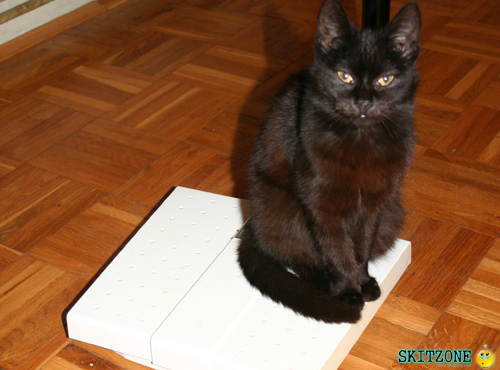 Later on, he improved his skills and now he can make a Mona Lisa or a Rembrandt by using the ‘dust extraction’ technique. 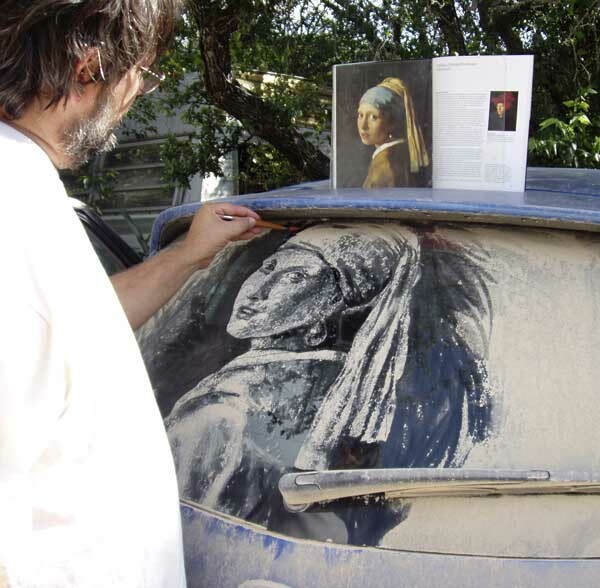 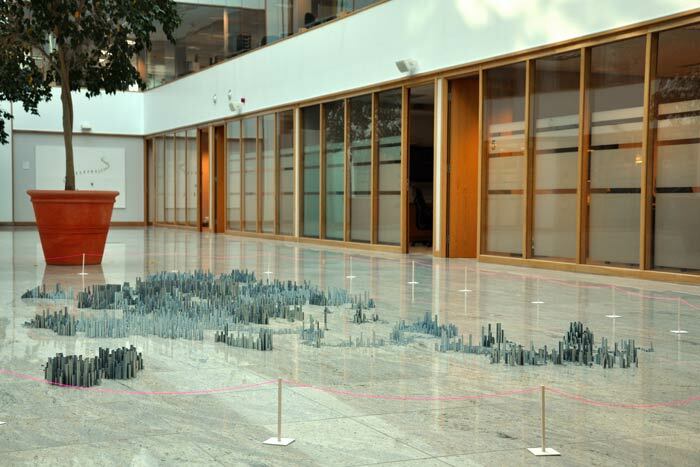 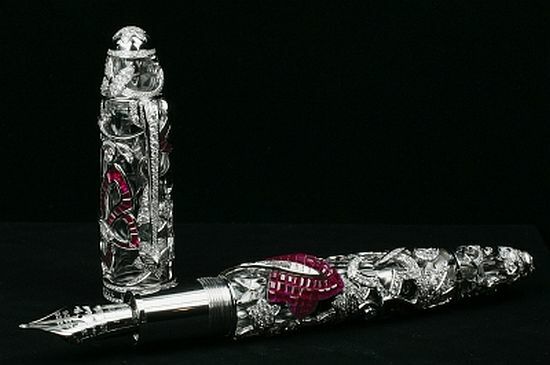 Wade use his fingers, a few paint brushes and a paint shaper tool to create these pieces.